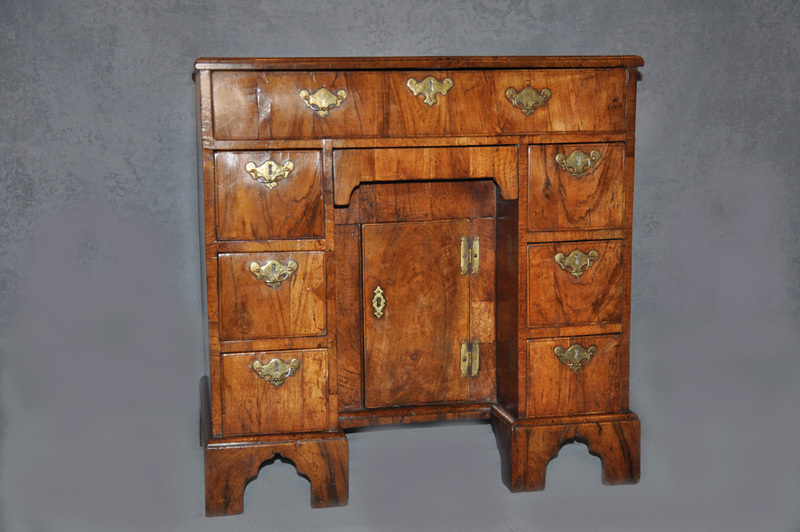 A Fine George 1st Figured Walnut Kneehole Desk of small proportions, With quarter veneered and feather banded top. lovely mellow colour. Retaining its original handles escutcheons and locks. 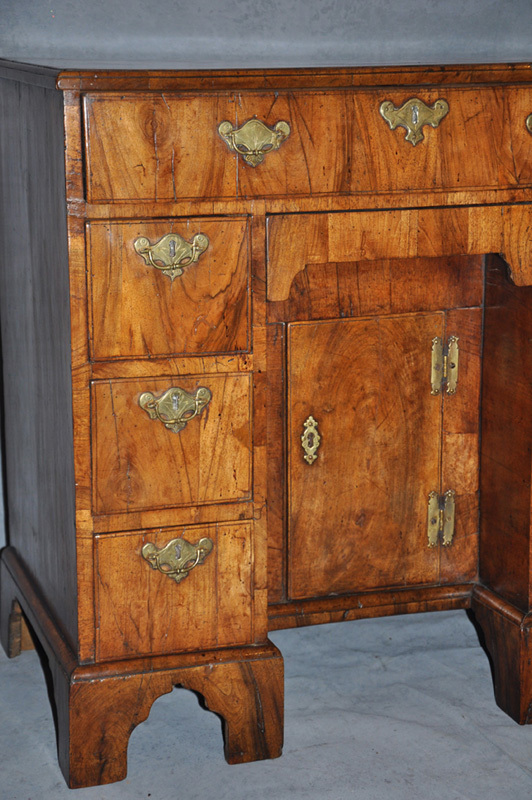 The Oak linings are in superb clean condition.